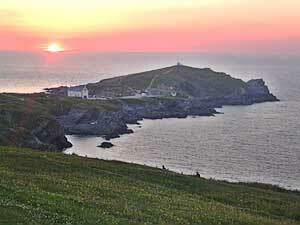 There’s much more to Newquay than being just a surfers’ paradise. Boasting some of the best beaches and surfing in Britain, Newquay is one of Cornwall’s premier holiday sites for those seeking a beach holiday. Unsurprisingly, it has obtained a reputation for being England’s surfing capital. Unfortunately, Newquay’s popularity has also attracted negative consequences in recent times. Hordes of school-leavers decending upon the town, underage drinking, loud parties, drunken behaviour have been a problem for Newquay and caused negative publicity. Hopefully, action by the police and authorities will restore Newquay to the restful holiday resort that it was. There’s much more to Newquay than being just a surfers’ paradise. You can swim, build sandcastles or walk the coastal path and enjoy the breathtaking views. Beach lovers will want to head to Fistral Beach – this is in fact the best known surfing beach offering fast, hollow waves for surfers. Another popular beach in Newquay is Watergate Bay although this beach is more suited to beginner surfers. Beginners may also want to try Crantock Beach with its wide stretches of golden sand sheltered by tufted dunes. There are numerous places in Newquay to hire surfing equipment and surf schools are also available for those who come only to ride the waves. As you would expect, Newquay offers a wide variety of cuisine options for just about every pallet. Local specialities include cream teas & Cornish pasties offered by the many tea rooms & bakeries. Cornish ice-cream is also very rich and creamy to taste. Newquay is also well known for its seafood and has a huge range of international cuisine restaurants from Indian and Chinese to Mexican and Italian. One thing’s for sure, when your visit to Newquay is over you’ll probably have to start a strict diet! If you’re interested in tropical marine life then a visit to the Newquay Blue Reef Aquarium is a must – one of the highlights is a fascinating underwater tunnel that visitors can walk through while witnessing the marine animals swim around in their natural habitats. As well as its fabulous beaches, Newquay is a holiday paradise for families. There’s something for everyone here, including the nearby theme parks of Springfields Fun Park and Crealy Adventure Park, Dairyland Farm World and the Lappa Valley Railway. Trenance Gardens has a lovely boating lake, indoor and outdoor tennis courts and a bowling green. Newquay has a good zoo containing a wide varierty of animals over 10 acres of land. Also popular (especially with children) is Newquay Water World – containing a tropical pool, simulation waterfall and volcanos and even state of the art gym facilities for adults. Intrepid thrill-seekers can get a buzz of adrenaline at the Lusty Glaze Adventure Centre. Other activity based entertainment include pool, snooker, bowling and a range of other sports and activities. Looking for something a little different? Try the Tunnels Through Time museum (a very novel way of looking at and learning about the past). Golfers who fancy chasing a ball around acres of turf will enjoy the scenic course overlooking Fistral Beach. And if you’re not having a good game, you can always blame it on the stunning scenery. 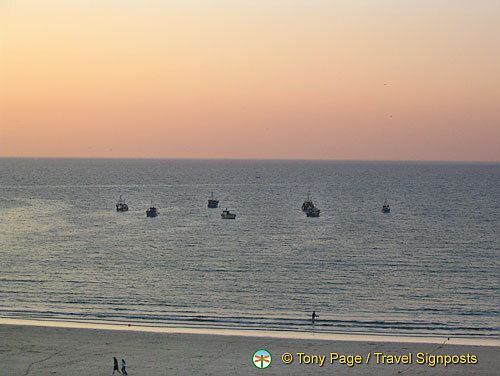 Fishing – this is one of the most popular activities in England – at Newquay there are some excellent opportunities for a wide range of fishing from fly-fishing to deep sea fishing. 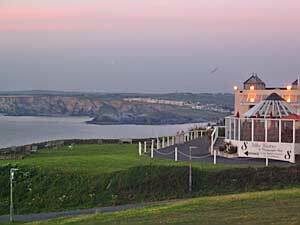 Whether you’re looking for Newquay hotels, bed and breakfast places, cottage holidays, surf lodges, self-catering accommodation, caravan parks or luxury hotels, there is a large range of Newquay places to stay to suit all budget types. Close to Newquay is the town of Bodmin – once the capital of Cornwall, it’s now an elegant little market town well worth a visit.